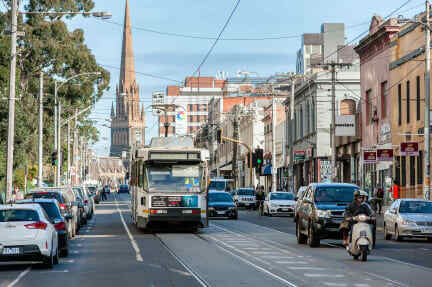 Great hostel in a cool area of Melbourne. Really well run, nice staff, nice guests, would definitely recommend. Great place for longer term stay, and they also have good offers for weekly stay. I actually enjoyed my time at this hostel. It’s very small but feels homely. The people here were nice and it had a relaxed atmosphere. You get given your own plates and cutlery which is nice so you know they are clean because you clean them. Common area was comfortable and sociable. And everything was cleaned everyday which is good. Great smaller hostel. Very accommodating staff. I prefer these types of hostels with more traveling adults. This hostel is great! Specially for long-term travelers. The atmosphere is cool, and everybody, including the staff, are super kind and welcoming. The facilities provided are good, the kitchen is well equipped and the hostel is always clean. The location is great and it feels secure all the time. All that you can do here is to extend your stay because it's so cool :) I would recommend! Location was great but a little bit loud which was to be expected. Lovely staff and fantastic security! The asset of this hostel is the atmosphere created by the travellers staying here. Facilities are okay, not fancy, but well enough and adequate. Plus, towel and a pantry box are also provided - which is great for long term stay. 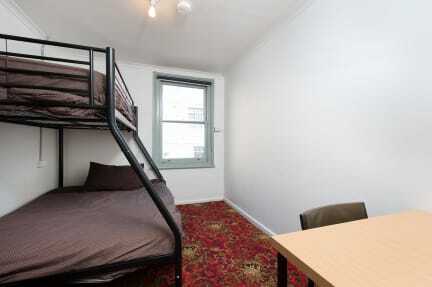 Staff is great, location is right at the Fitzroy area, accessible transpo. Hostel has a good noise policy so I slept well here. The facilities were no frills but had everything I needed and were kept to a good standard of cleanliness. The location is fantastic and I felt safe here. Less like staying at a hostel more like staying at your strict, uptight Grandparents where you'll be scolded for breathing wrong. Key code entry to building but room was never locked, not enough lockers for everyone so all my belongings were vulnerable and out in the open. The cleaner moved them to clean the floor which I understand but did not appreciate my things being touched or moved. Lots of rules here and wifi sucked. Not enough bathrooms, had to wait an hour in the morning to shower. No idea how this hostel has such a high rating. I assume it is propped up by the long-term residents giving it big ratings. The facilities are very tatty and tired. The staff have no interest in helping or providing even a map. It is a sweat box in every room. DO NOT BE DECEIVED BY THE RATING! STAY AT UNITED BACKPACKERS INSTEAD!